I know what you are thinking, “Why the excitement over an Android TV app?” As someone who ditched traditional cable a couple of months back for Playstation Vue, I have been impatiently waiting for an Android TV to arrive, so that I can watch the service without using unreliable Chromecasts or have to deal with Amazon’s Fire TVs. Today, my dreams have come true, hence the excitement. 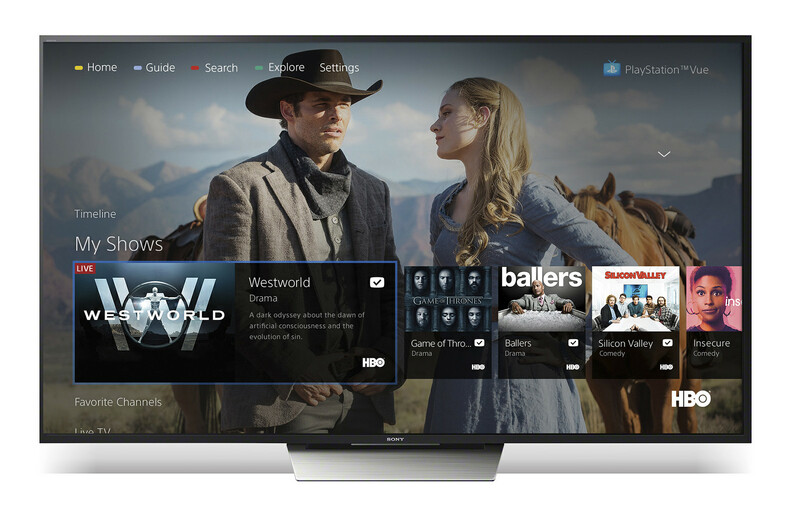 Playstation announced that Playstation Vue is now available on Android TV (Android 4.4+). That means the full Playstation Vue experience like you would get on a Fire TV only through a Nexus Player or SHIELD TV or Android TV-equipped TV. I’ve already loaded the app up on my Sony TV and it works just like the Fire TV app. I’ll have to give it a good run through later today to see if there are any differences, but so far, everything in the experience is the same outside of some new buttons to bring up menus. On a semi-related note, Playstation announced that Vue will soon be available for viewing from desktop computers. The computer experience will include a special set of features like a “mini-player” that can be tucked to the corner of your desktop. In other words, your TV consumption will soon be available at your work desk. For those not familiar with Playstation Vue, I’d describe it like I would Sling TV – it’s a streaming TV service. However, Playstation Vue seems to have the biggest set of quality channels and solid pricing for what you get. For example, the basic plan starts at $30 and includes 55 channels (ESPN, AMC, FX, TNT, CNN, etc.). With Vue, you have access from up to 5 devices at a time, with mobile and TV apps, plus a desktop experience on the way. I’ll probably put together some sort of review at some point, if anyone is interested. I can tell that since ditching Comcast cable a couple of months ago, I haven’t really missed a thing.